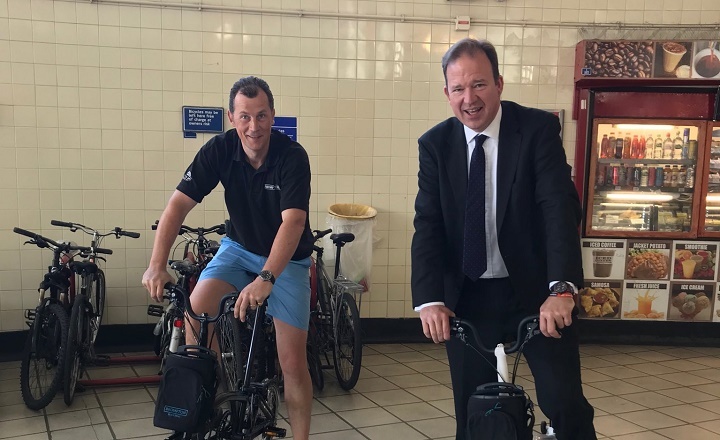 Jesse Norman is urging stakeholders and individuals to have their say on how to make cycling and walking the ‘natural choice of transport’ before the DfT’s consultation closes on 1 June. Mr Norman launched the call for evidence in March – seeking views on everything from improved infrastructure to education for road users. The review forms part of the Government’s drive to make cycling and walking safer, while encouraging more people to take up cycling as part of a ‘green revolution in transport’. Over the next few weeks, the DfT is holding four events across the country to gather more views – starting in Walthamstow, London, tomorrow (16 June). The tour then moves on to Bristol (18 May), Birmingham (21 May) and Manchester (23 May). Jesse Norman, road safety minister, said: “I want us to become a nation of cyclists, and to make cycling the natural choice of transport for people of all ages and backgrounds. “Our call for evidence supports an open, comprehensive and thorough review across government to encourage active travel and improve safety for all road users. “We particularly want to hear from vulnerable road users, so if you have ideas for improving road safety then please let us know.